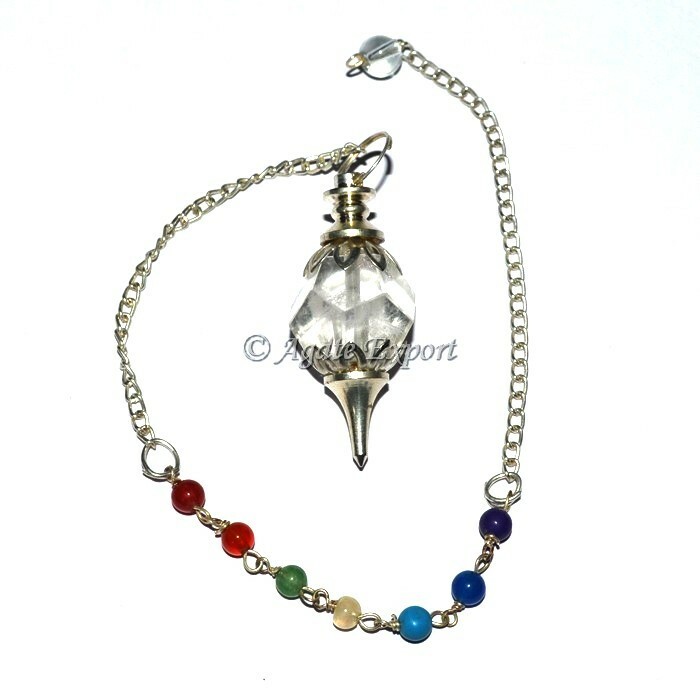 Crystal Quartz Octagon 7 Chakra Pendulum is the combination of Crystal Quartz and chakra. These beautiful pendulums are available 50 in one pack and also size of pendulum is 20 to 40 MM. It is available in affordable price only at Agate Export. Place the order today.